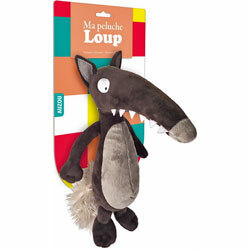 Le loup qui voyageait dans le temps is a funny story in French about a wolf who finds a magic book that takes him back in time. Follow him as he goes back to the time of the dinosaurs, finds himself amongst cavemen, visits the Egyptians as they prepare to build a pyramid, meets the Romans, enjoys a medieval banquet and much more. 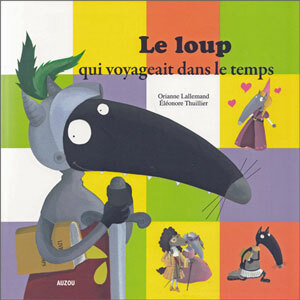 Le loup qui voyageait dans le temps is written entirely in French as it is aimed at native speakers. 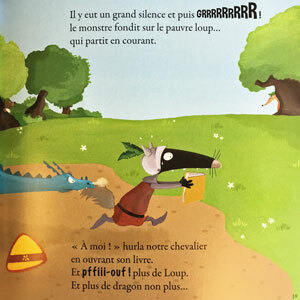 It would suit children aged 3+ if they are fluent in French, but is a simple story that would be suitable for learners too. 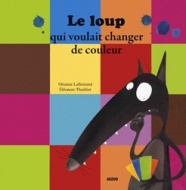 This book is suitable for French native children and KS2/KS3 pupils but a bit difficult I feel for younger ones; I have used part of it (eg dinosaurs, Egypt) to go with my pupils' topic or the whole book. What I love about it is its references to French history which the children may not be aware of. 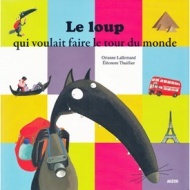 A great addition to your school library!